The limited availability of pet friendly rental housing in British Columbia has been a topic for discussion in the media recently. The combination of a very tight rental apartment market with limited vacancies and the limited percentage of the buildings and units being marketed as pet friendly has made it increasingly difficult for pet owners to secure pet friendly rental housing. At aptrentals.net, we have a limited number of buildings that are designated as pet friendly but we continuing to evaluate the suitability of our other rental buildings for pet friendly designation. In our buildings that are designated as pet friendly, we conduct our rental interviews with both owner and pet present, request pet references and a pet background/resume, look for a well-groomed and well-mannered pet who is responsive to its owner and whose owner is in control of it, and we have the tenant sign a pet policy addendum and provide the appropriate pet deposit under the tenancy agreement. Q. WHO MAKES THE DECISION TO ALLOW PETS IN RENTAL HOUSING? A. 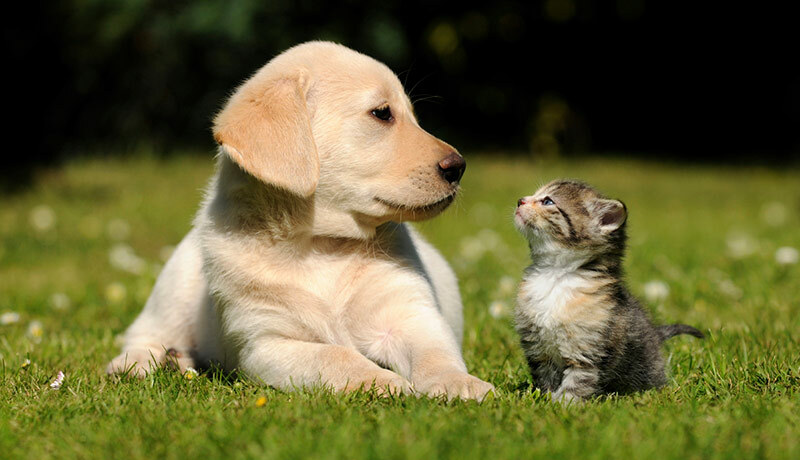 Permission to keep a pet is granted at the landlord's discretion and is subject to the tenant's strict adherence to all aspects of the pet policy. A tenant who wishes to keep a pet will first need to obtain their landlord's approval. Q. HOW CAN I GET A LANDLORD TO SAY "YES" TO ME AND MY PET? A. Some tools to give you a better chance of securing pet-friendly housing include: preparing a pet resume with references, obedience training certificates, veterinary medical insurance, and photos. Many landlords will ask to meet your pet to have assurance of your ability to be a good caregiver. Some companies provide coverage for damage caused by pets, and a letter demonstrat­ing to landlords that a tenant is a responsible pet guardian (try searching for "veterinary medical insurance for renters" online). Approaching a potential landlord about pets can be difficult, but with the right set of tools and the story of your challenges in finding pet-friendly housing, land­lords will be more likely to be compassionate to your circumstances. A. Yes, a landlord may require a pet deposit when the tenant has a pet at the start of tenancy, or later when the tenant acquires a pet. Q. WHAT IS THE PURPOSE OF A PET DAMAGE DEPOSIT? A. Pet deposits are used to repair any damage left by a pet at the end of a tenancy. A landlord is not allowed to automatically keep all or part of the deposit at the end of the tenancy. A. Landlords can charge a one-time deposit of up to half of one month's rent. This deposit is in addition to the normal security deposit. Q. IS THE PET DEPOSIT RULE RETROACTIVE? A. The Residential Tenancy Act was amended in 2004 to allow landlords to charge a pet deposit fee; the rule was not retroactive and does not apply to tenants with pets prior to the amendment. A. Once per month, in order to assess the condition of the unit. You could even offer a proba­tionary period, where your landlord checks more frequently for the first month or so. Q. CAN LANDLORDS RESTRICT THE SIZE, KIND OR NUMBER OF PETS? A. Yes and restrictions will vary by landlord. Q. HOW CAN A TENANT FIND PET-FRIENDLY ACCOMMODATION IN B.C.? A. Some rental housing search engines, such as aptrentals.net, permit you to search for places that are pet friendly. Q. HOW MUCH DEMAND IS THERE FOR PET-FRIENDLY HOUSING? A. In today's market, a landlord may receive far more applications for pet-friendly units than they can accommodate and, as a result, you can expect to pay more for a pet friendly unit given both the limited supply and the landlord's concerns with respect to additional wear and tear risks at their buildng. A. Yes, as part of the pet policy that you establish, renters must acknowledge and abide by any no-pet areas on the property. Q. CAN LANDLORDS HAVE TENANTS SIGN PET POLICIES? A. Absolutely. Pet policies assist property managers and tenants to develop and implement rules regarding pets in rental housing. It accommodates the needs and concerns of most parties. Q. CAN LANDLORDS PROHIBIT PETS IN THEIR RENTAL PROPERTIES? A. "No pets" policies are permissible with the following exception: landlords must allow reason­able accommodations for residents with a disability and allow a designated "service" animal who assists a resident in his/her day-to-day living.